Almost a decade after first pledging his support to St. Jude Children's Research Hospital and the thousands of children the healthcare institution treats, Darius hosted his sold-out ninth annual “Darius and Friends” benefit concert on Monday night followed by his traditional golf tournament on Tuesday morning. This year’s concert, auction and golf tournament alone raised $404,000 for St. Jude, breaking the previous year’s record and bringing the cumulative total raised for all years to $1.6 million. "As a parent I can’t imagine the emotional toll hearing your child has cancer takes, not to mention the financial stress,” said Rucker. “The support families with a child facing life-threating illness receive from St. Jude is just incredible. I’m proud to support St. Jude and I’m so grateful to all our friends who came out and donated their time to be on the show." With thousands descending on Music City for 2018’s CMA Fest, the benefit concert has become an unofficial kick off to the week’s festivities. For its second year at the historic Ryman Auditorium, Darius welcomed surprise guests Patrick Davis, Edwin McCain, A.J. McClean of the Backstreet Boys and Brad Paisley, along with Trace Adkins, Lauren Alaina, Bobby Bones, Ashley McBryde and Rachel Wammack and more than 2,400 fans to the sold-out event. The event has sold out year after year, raising funds through concert ticket sales, a silent auction and annual golf tournament, hosted by the free-swinging Rucker and his band. 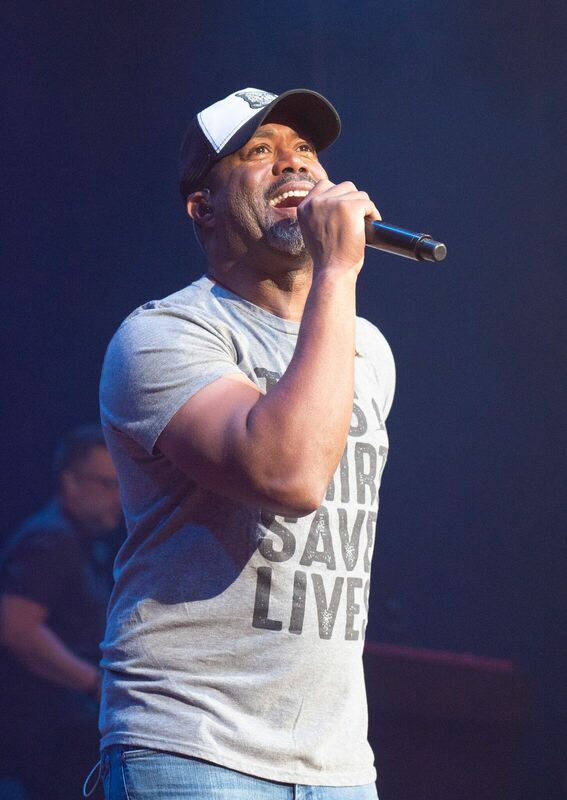 Friends performing with Darius in the past have included Brooks & Dunn, Luke Bryan, Luke Combs, Dan + Shay, Radney Foster, Randy Houser, Jamey Johnson, Charles Kelley of Lady Antebellum, John Oates of legendary pop duo Hall & Oates, Michael Ray, Kenny Rogers and many more.